We will have softball tryouts, or more precisely player evaluation sessions, on two successive Saturdays. During these tryouts experienced softball managers and coaches will evaluate all such candidates seeking to "move up" a league in competition. If your daughter is new to the league and will be in a league where there is draft, please attend one of the two tryouts so she can be evaluated for the draft. Our goal is to have every girl rated that will be playing in a league that has a draft. If your daughter has played in MBLL then we already have that information. Here is the tryout information. Each player requesting to "move up" must attend a tryout to determine her eligibility to do so. A player may attend either of these sessions. It is not necessary to attend both sessions. Players should bring their glove, and if they have them, their bat and helmet. Please review the attached information sheet which describes MLL's softball leagues and provides further information regarding the tryouts if you are not sure if your daughter should attend the tryouts. 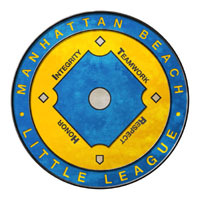 This information is also posted on the league's website at mbll.org. If your daughter was born between January 1, 2001 and April 30, 2001, has played two years of MLL T-Ball and has requested to move up to the American Softball League, there is no need for her to attend tryouts. Such players will automatically be placed on an American League team. If you have any questions regarding MLL softball or the tryouts for softball, please do not hesitate to contact me. If you cannot make either of these tryout sessions, please let me know and we will do our best to schedule a make up session for those unable to attend.